Any DJ who values their craft can appreciate creativity and when a song is remixed so well that it puts the original to shame. Me, I'm a fan of sampling and digitally augmenting the finer points of beats, which is why @itsoverturedjs deserve some serious dap for the way they elongated the intro to @MYFABOLOUSLIFE's hit You Be Killin' Em. Hard to believe it's been damn near a year since the original track dropped, but it's one of maybe 10 tracks I heard in the last year that I haven't gotten sick of no matter how badly radio killed it. That's why when I heard the NY DJ crew It's Overture's Murderer Edit last week, it was like getting a taste of one of my favorite meals, except with a larger serving of the best parts. Feel me on that? It's like the intro to the track was the best part and they broke it down, sped it up and mixed it into the original. In other words, it's a whole lotta awesome and there will be plenty of DJs that'll take this track and use it in a DJ set cliamin' they did it. 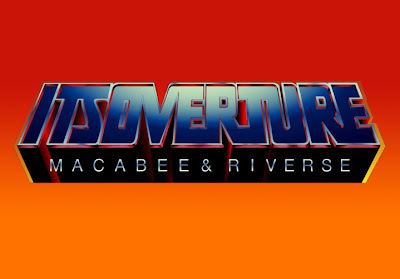 Go head with that BS, we all know It's Overture did it first, so don't even try and fake the funk. By the way, I wonder when we'll finally see Les is More? It was supposed to drop July 4th, but it keeps getting pushed back. I liked Gloryand Joan of Arc, so I'd be lyin' if I said I wasn't pumped for the album. Give the people what they want @ryanleslie!! !